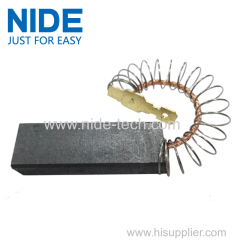 We manufacture various of Carbon Brushes,which is used in power tool,home appliance and etc.,It has high efficiency,stable performance and advanced technology,help you reduce cost while remain high quality. 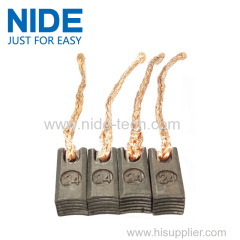 We supply various automobile starters and alternator carbon brushes for different application. We have a strict control system of our product. 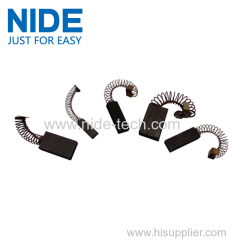 1.We can make various kinds of carbon brush as per customer's drawing and samples. 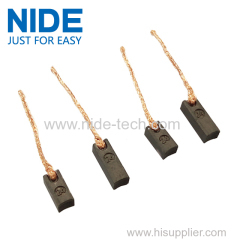 1.The carbon brush is suitable for small and special electric motor signal motor. 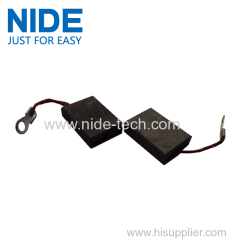 2.stable sliding contact, low resistance change during sliding. 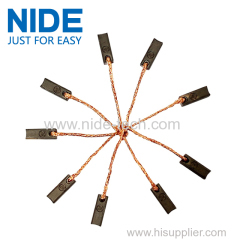 2.Our carbon brush is Good quality,small spark,low noise, long duration,good Lubricity. 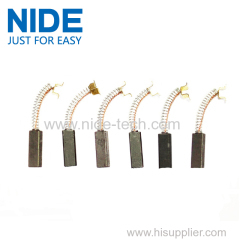 The Carbon brush is used for household appliances ,such as air conditioning, or other household appliances. 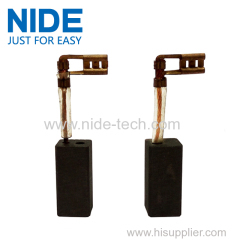 1.Our carbon brush is high strength, low bulk density, good rectification performance. We have a strict control system of our product focus on the inspection not only in the production process but also with raw material incoming test. Help you to reduce cost while maintain high quality. 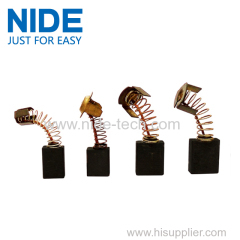 Appliances Application Carbon Brush with high efficiency, advanced technology,stable performance. 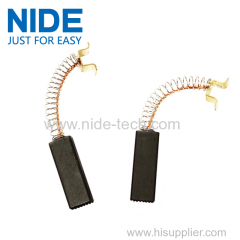 automotive carbon brush.Help you to reduce cost while maintain high quality. 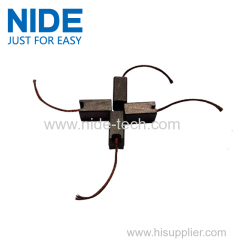 We could manufacture various of Power Tool Application Carbon Brush according to customer's requirment. 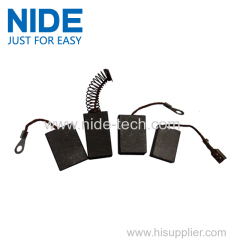 Group of Carbon Brush has been presented above, want more	Carbon Brush and Motor Carbon Brushes, Please Contact Us.